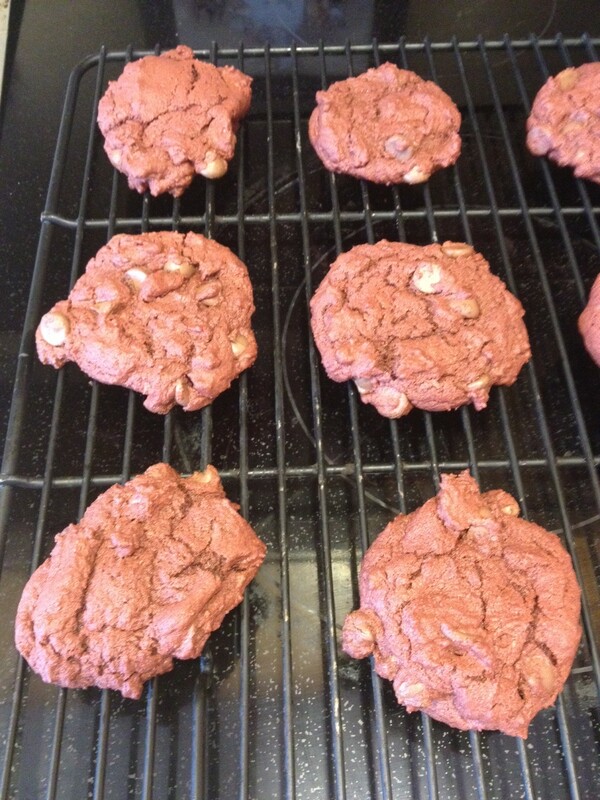 Red Velvet Chocolate Chip Cookies and a SNOW day. 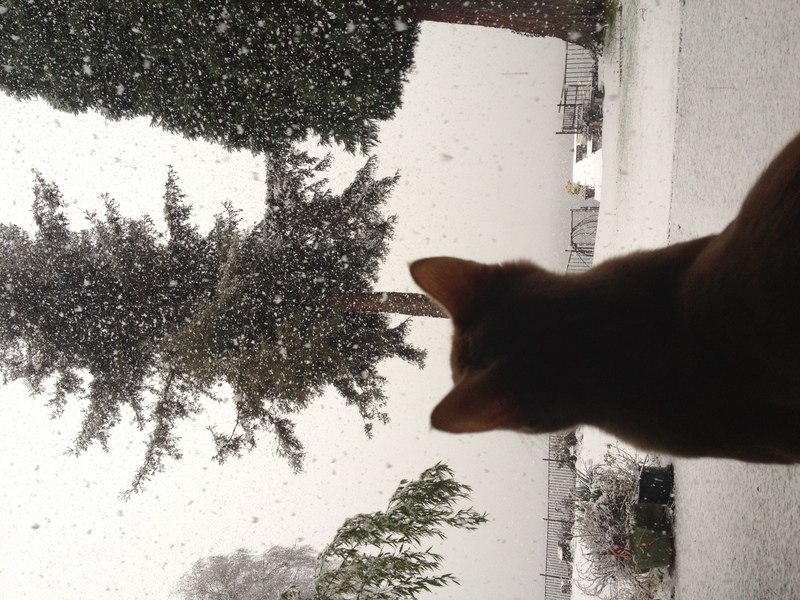 Jake checks out his first snow. Here in good ole’ Seattle we’ve been snowed in basically all week. I worked from home on Monday, Tuesday I went to work until about 12:30 but left when it started blizzarding (yes, that is officially a word), worked from home yesterday because about another foot of snow magically appeared overnight, and was home AGAIN today because we’ve had a mix of freezing rain and snow. 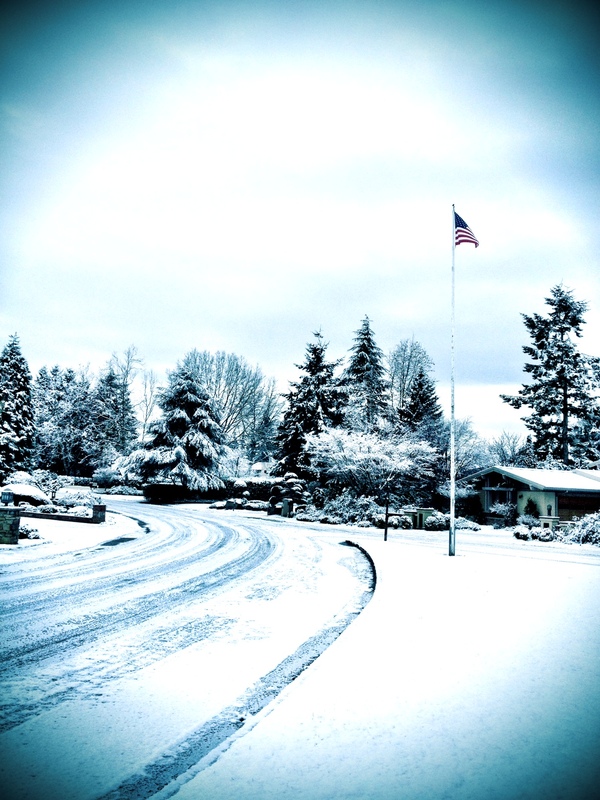 Snowy neighborhood, before we hit a state of emergency. A State of Emergency was declared today, and needless to say a lot of people are freaking out and going stir crazy with cabin fever. 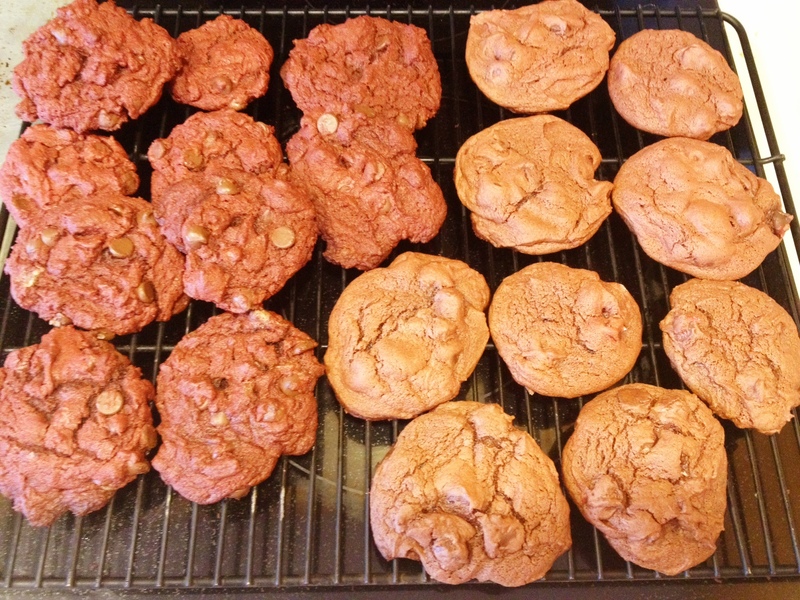 I thankfully had all of the ingredients around to make these Red Velvet Chocolate Chip Cookies. Boredom and hunger averted. 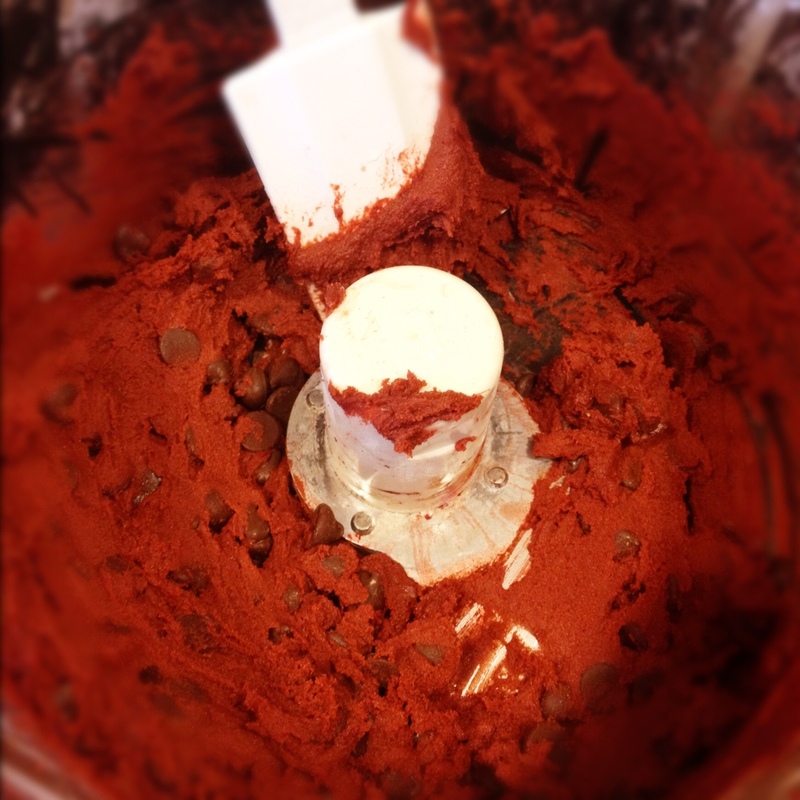 Mmmm...delicious red velvety batter. Yes, I ate some. Butter batch with milk chocolate chips on the left, margarine with dark chocolate chips on the right. When I do these again, I think I will go for butter in the batter and dark chocolate chips. The dark chocolate seems to pair better with the red velvet. Perfect hot out of the oven on a snow day. Stir in flour, baking soda, salt and cocoa powder until just combined. Fold in chocolate chips. 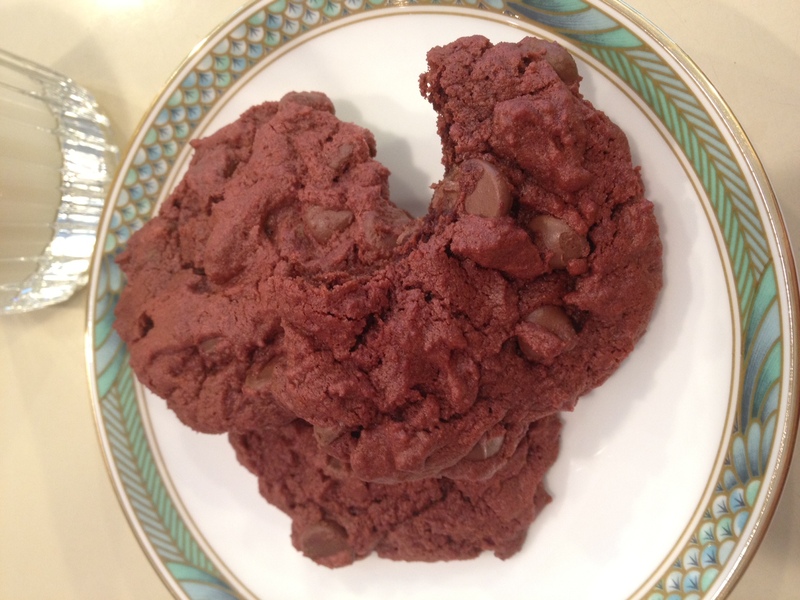 Drop by rounded teaspoon onto an ungreased cookie sheet and bake in a preheated 375 degree oven for 10-12 minutes. Let cool slightly before transferring to wire racks. I double the recipe to make about 3 dozen cookies.